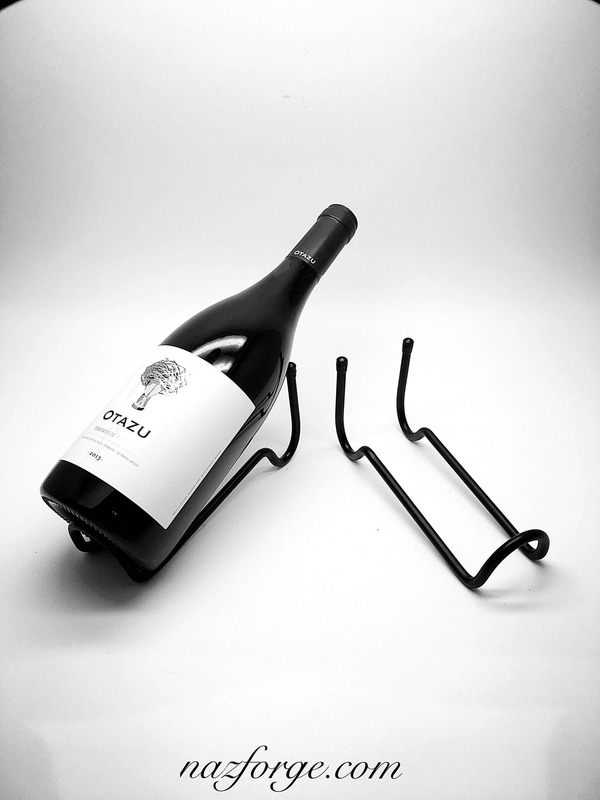 This is a hand made wine bottle holder that displays your favorite wine bottle at a slight angle. 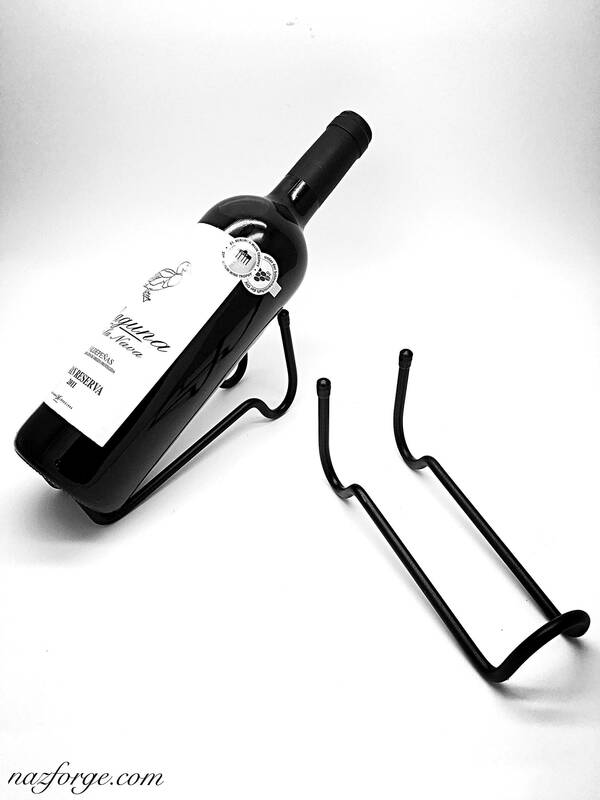 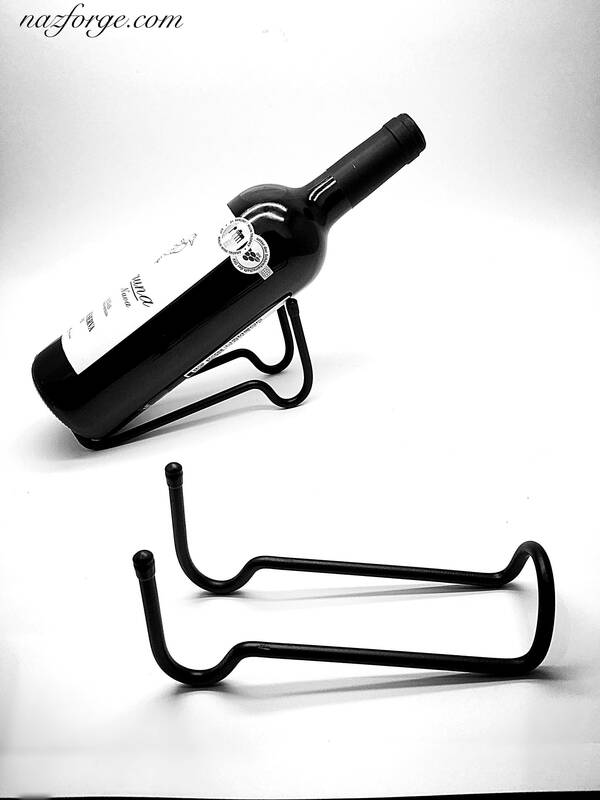 Simple, smooth lines give this wine rack it's charm. 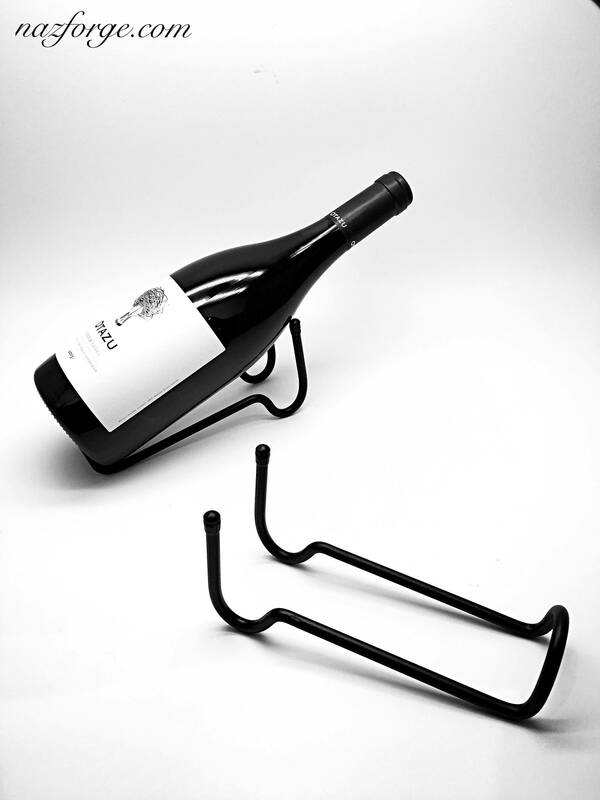 Two rubber "boots" are added so the bottle rests on a smooth surface with grip. 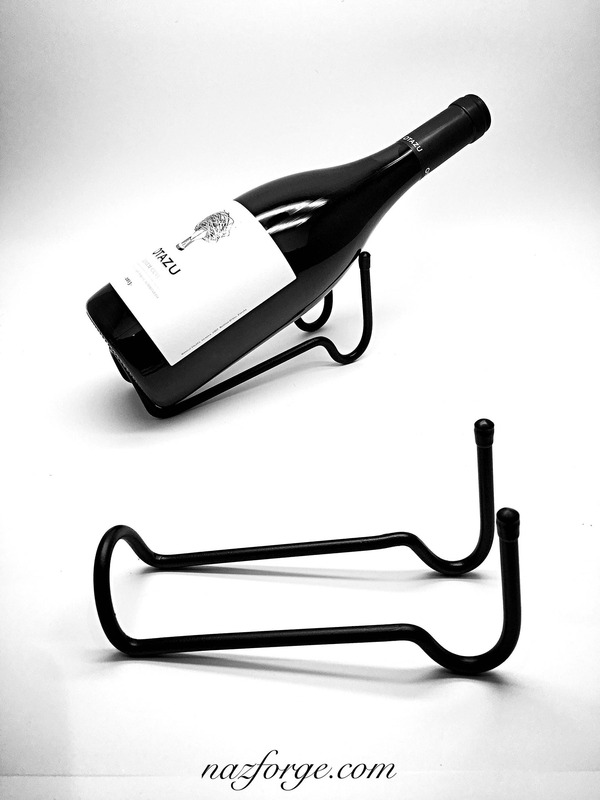 After being crafted, and cleaned up, this bottle holder receives a coat of primer & 3 coats of flat black paint. 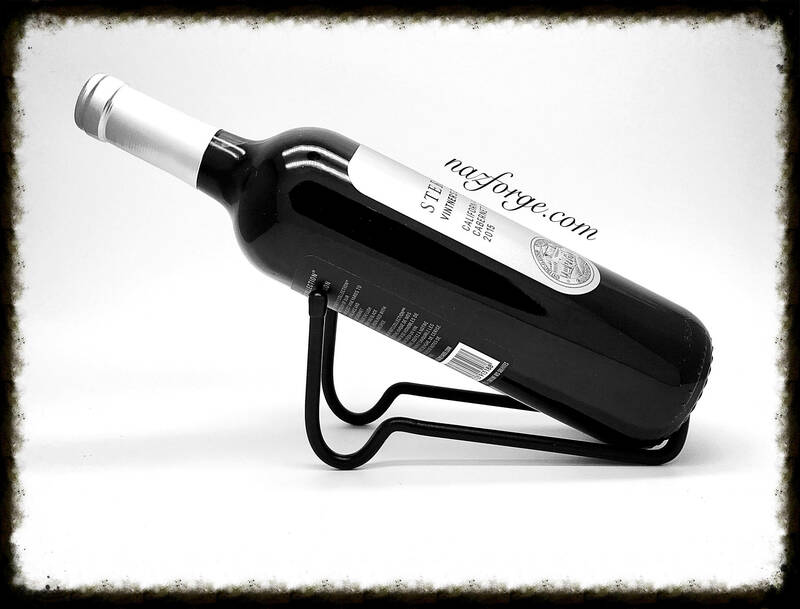 Measures approximately 6-1/2" x 2-1/4" x 3-1/4".